Seeking meaning, purpose and courage in your daily work? Let's talk! The main thing you need to know about me is that I get absolute pleasure in watching people wholeheartedly pursue a meaningful life. When folks are done comparing themselves to others and are seeking that “something” that makes them unique, I am stoked! When people ask the deeper questions about life, work and relationships, I stop and listen. 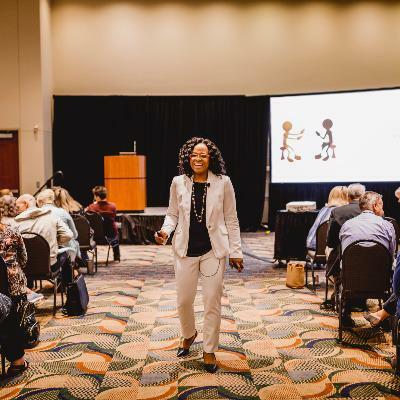 Whether you are a 10 year old or a 70 year old, if you are exploring the “why” to your existence and the “what” to put your hands to, I am pulling my chair up and leaning forward to learn more. If you desire to learn more about my listening and coaching, contact me. I’d love to join you on your journey! Meaning matters. Purpose matters. Work matters. As a GALLUP-certified strengths coach, educator, higher education professional and licensed NC attorney with a heart to help others find and fulfill their purpose in their work and life, Taylor enjoys providing leadership expertise in career coaching and professional development training for individuals and teams in matters of diversity and the strengths-based approach to work and life. Meaning matters. Purpose matters. Work matters. Taylor boasts nearly 10 years of career and professional development experience, including performing in variety of capacities at a variety of institutions. Taylor spends considerable time facilitating team building workshops around the StrengthsFinder assessment for a variety of organizations and serves as a purpose coach for individuals managing career transitions. A scholar of the intersection between confidence, hope, purpose and the world of work, her strength-based research at UNCG gained national attention as a 2015 Member’s Choice Award finalist with the National Association for Colleges and Employers. In November 2015 she presented on the topic at the National Symposium for Student Retention in Orlando, Fla.
Taylor has presented at several conferences, both regionally and nationally on topics such as strengths-based education, coaching individuals towards meaningful work, and the effective collaborative and strengths-based approach between academic affairs and student affairs in student development. She is also a certified trainer in diversity of communication styles. Taylor earned a B.A. in sociology from Wake Forest University prior to obtaining both a B.A. in Civil Law and a J.D. from Louisiana State University Paul M. Hebert Law Center .